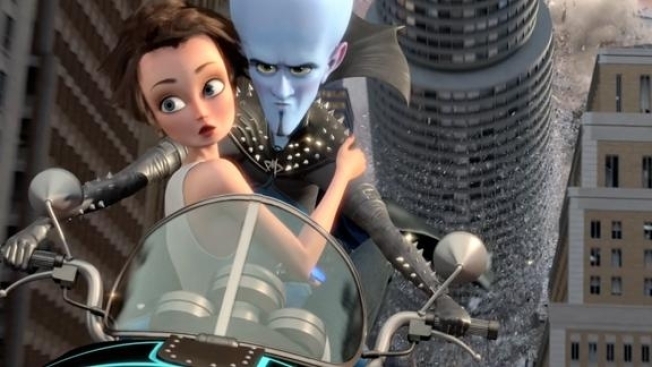 So maybe, just maybe, "Megamind" won't be the crushing disappointment we feared it would be. The trailer that came out in May (below) featured a tiresome tongue-in-cheek use of AC/DC's "Highway to Hell," and Will Ferrell voicing a stock villain. Co-stars Brad Pitt as Metro Man, Tina Fey as Roxie Ritchi and Jonah Hill as Titan -- or maybe it's Tighten -- seemed OK, but overall the trailer left us cold. At the time we checked the synopsis on the movie's site and learned that "Megamind actually kills (Metro Man) in the throes of one of his botched evil plans." Clever monkeys that we are, we said we had "a sneaking suspicion that Metro Man actually survives." The new trailer looks decidedly better, teasing a very different story than the first and more or less confirming our suspicions about Metro Man's fate. Anyway, the old trailer just made us sad, and this one has renewed our hope. We'll decide once and for all when "Megamind" arrives Nov. 5.